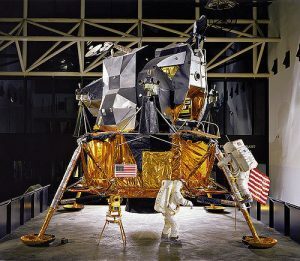 You might want to see the lunar module in person and compare the size of the space suit and size of the astronauts helmet + inflated space suit with the large airpack on the back (extending to behind the helmet) with the dimensions of the lunar hatch/door/opening. Has this been explored? How on earth (or the moon!) could a large space suit and all that equipment (backpack in back, camera in front) get through a small hatch opening? Wish I knew the module dimensions –maybe if you visit the module you can figure it out…or maybe there’s the specs online…anyone check that out? Over a half of all Russians believe that US astronauts have never been on the Moon and that the US authorities and NASA covered up this fact by forging proof of moon landings, a new poll shows. In the recent survey titled “Science and society: authority and trust” experts of the Russian state-run public opinion research center VTSIOM wrote that 57 percent of Russians currently think that the US claims of successful manned Moon missions are lies and that the documented proof of these missions was forged. Only 24 percent of respondents said that they believed that the manned Moon missions were real. Researchers also specified that 65 percent of those who think that the US authorities are lying about the moon landings have secondary education. However, Russians are not only suspicious about the NASA moon missions. 59 percent of the poll participants share the opinion that “scientists conceal the truth from common people.” Even among Russians with higher education the proportion was extremely high – at 45 percent. When facing the question if the scientists possessed some “objective knowledge” about the reality the Russian public again split into almost equal parts: 42 percent agreed that this was true while 41 percent said that in their opinion the scientists who claimed this weren’t telling the truth, albeit in good faith. In the same poll, three percent of Russians said that they personally supported the flat Earth theory. 93 percent said that they shared the traditional opinion of Earth being a ball-shaped planet and four percent found it too difficult to answer the question. As far as space aliens are concerned, 45 percent of the poll participants said that they believed in the existence of extraterrestrial civilizations and 42 percent think that aliens either don’t exist or for some reason prefer not to visit Earth and contact humans. 18 percent of respondents said that in their opinion the authorities were hiding proof of alien visits from the general public. A part of an interview with the former astronaut Buzz Aldrin in which this eight-year-old girl named Zoe asks uncomfortable questions … I think Buzz just couldn’t look that little girl in the face and lie to her. 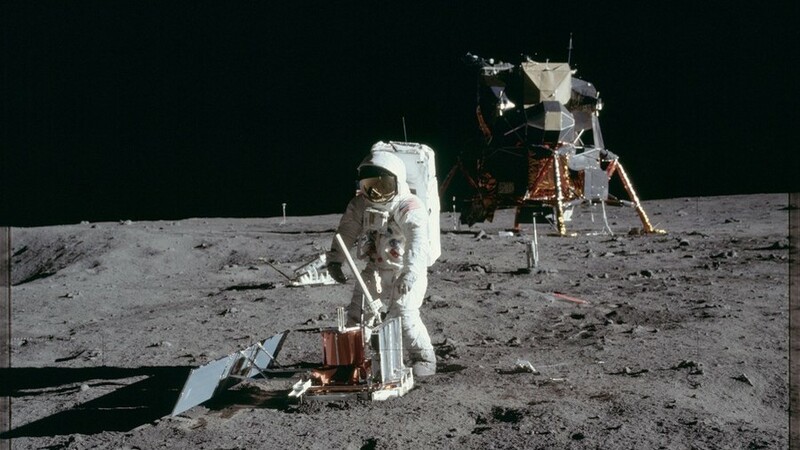 In America, 21 million people believe that the moon landings were faked – despite pictures from Earth-bound telescopes clearly showing flags left by the Apollo missions. Moon hoax conspiracy theories are often the ‘entry level’ conspiracy which guides people to the really weird ‘hard stuff’ like believing the Earth is flat. Many of the supposed ‘giveaways’ still touted by moon truthers today come from Kaysing’s book, according to author C Stuart Hardwick, writing on Quora. Hardwick says, ‘He made a large number of idiotic claims that in fact only demonstrated his ignorance and paranoia. ‘For example, he claimed (without evidence) that the mighty F1 engine was wholly unreliable and so NASA was forced to cover that up by welding clusters of proven B-1 engines inside the F1 engine bell in order to simulate a lunar mission by launching a (presumably mostly empty) Saturn V that could never leave orbit. Is The Moon Landing Footage Real? In the 1960s the space race was at its peak, with the USSR and USA both competing for interstellar supremacy by the end of the decade. Could it be that to overcome the financial and technical obstacles standing in its way, that America broadcast a live publicity stunt to put the first man the moon? NASA has canceled a mission to assay the resources that may be available to humans on the moon, even though President Donald Trump’s administration made it a priority to send humans back there, according to media reports. The Resource Prospector mission would have sent a rover to the moon’s polar regions to learn about water and other deposits on and just beneath the lunar surface. Scientists have sent an open letter to new NASA Administrator Jim Bridenstine, urging him not to shut down the agency’s only current moon mission, which has already been in development for four years, according to a report by The Verge. Such knowledge is crucial to expanding a human presence on the moon. Lunar ice can potentially be melted and split into oxygen and hydrogen, providing a local source of water, oxygen and rocket propellant, The Verge reported. This would not only help make human activities more self-sustaining but also dramatically reduce launch costs, because many of these vital resources could be produced on-site. “If we can demonstrate that we can access the water on the moon, then we can start to design the equipment that will mine it and deliver it to the outpost,” Phil Metzger, a planetary physicist at the University of Central Florida who is part of the science team for Resource Prospector, told The Verge. Although it was not yet fully funded, the Resource Prospector mission had gotten well past the drawing board. Engineers had been working on the project for four years, and prototypes were tested on Earth in 2015 and 2016, according to The Verge. Plans had the mission launching in 2022. “It’s far enough along that it’s a real mission,” Clive Neal, an engineering professor at the University of Notre Dame and Lunar Exploration Analysis Group (LEAG) emeritus chair, told The Verge. Issues likely started when the mission was transferred from one directorate within NASA to another, according to Metzger. Originally, it was funded with money allocated for human exploration, The Verge reported. However, it was moved to the section that funds scientific missions. Although Resource Prospector was a robotic mission, it didn’t fit as well within the Science Mission Directorate’s priorities or budget, which is likely why it was canceled, The Verge said. As for why the mission was moved, “I don’t really know what the motive was, but I’m guessing it was probably budget-related,” Metzger told The Verge. NASA’s human exploration program is currently working on the massive Space Launch System rocket, which accounts for a sizable portion of the program’s budget. Given the recent growth of private launch companies, a number of people have criticized NASA’s decision to continue developing this costly rocket. Several scientists at LEAG, which advises NASA on lunar exploration, wrote a letter to Bridenstine, urging him to re-evaluate the decision to cancel the mission. 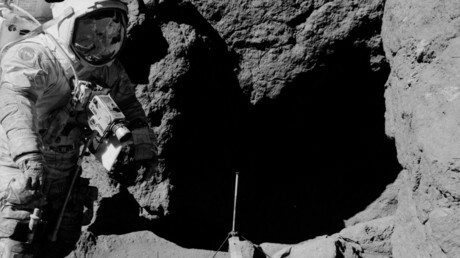 In their letter, they explained the mission’s importance in current plans to return humans to the moon and expand the nation’s lunar presence overall. The decision to cancel the Resource Prospector mission is peculiar given the current administration’s plans for NASA. Trump has repeatedly called for NASA to return humans to the moon and even signed Space Policy Directive 1, ordering NASA to return astronauts to the moon ahead of crewed missions to Mars and beyond. As of now, “there are no other [NASA] missions being planned to go to the surface of the moon,” Metzger told The Verge. The Resource Prospector also fit in nicely with the Trump administration’s desire to foster NASA’s partnerships with the commercial space industry, as there’s been increased interest in lunar exploration from private companies. Several businesses have plans to send their own spacecraft to the moon, and some would like to set up commercial operations there. The moon could even serve as a space port for longer-distance missions, like those to Mars, The Verge said. “Of course, it could turn out that the water [on the moon] isn’t easily accessible at all, and that could change a lot of plans within the industry,” The Verge wrote. The Resource Prospector mission was critical to answering this question. “It would have been harder to fake it than to do it,” astronaut Neil Armstrong once said. On July 20, 1969, Armstrong and Edwin “Buzz” Aldrin Jr. — two of NASA’s Apollo 11 astronauts — became the first human beings to ever walk on the moon. Orbiting above them at the time was the third member of their crew, aviator Michael Collins, who was busy piloting their command module. On Dec. 18, 1969, four months and 25 days after Armstrong, Aldrin and Collins returned to Earth, John Noble Wilford of The New York Times ran a story about “a few stool warmers in Chicago bars” who’d gone on record to claim that all the Apollo 11 moonwalk footage was fake and must have been secretly filmed somewhere out in the Nevada desert. The popularity of this misguided belief mushroomed during the Watergate scandal, an actual government conspiracy that seems to have left people more susceptible to believing other big government coverups were plausible. His pamphlet gave the so-called “lunar truther” movement its first manifesto. Deniers like Kaysing saw their cause enjoy a modern renaissance in 2001, when the Fox Network aired a documentary called “Conspiracy Theory: Did We Land on The Moon?” A 47-minute special, the program featured interviews with Kaysing and other Apollo 11 skeptics. One of them was Bart Sibrel, a filmmaker who’s released two documentaries of his own on this subject. The Fox program enjoyed great ratings, as did a rebroadcast of the show that aired again a month later. However, scientists overwhelmingly denounced the one-sided special. The turn of the millennium also saw an explosion of internet conspiracy sites, which furthered the spread of “lunar trutherism.” All that negative attention was bound to generate some uncomfortable moments for the Apollo 11 crew. In 2000, Neil Armstrong was celebrating his 70th birthday. One of the cards he received came from a schoolteacher, who wrote “Dear Mr. Armstrong … I would like to point out that you, and the other astronauts, are making yourselfs [sic] a worldwide laughing stock, thanks to the internet.” From there, the author encouraged Armstrong to visit a favorite conspiracy website. Armstrong forwarded the card to NASA, asking if the agency had ever publicly refuted these allegations. “I occasionally am asked questions in public forums and feel I don’t do as good a job as I might with more complete information,” the astronaut said. In fact, NASA had rebuffed the claims way back in 1977. That June, a press release from the organization dismantled Kaysing’s major arguments. After the 2001 Fox special, the space agency reissued the document. Still, the doubters weren’t satisfied. While making one of his movies, Bart Sibrel and a cameraman ambushed Armstrong at a 2001 EDO Corporation (now ITT) aerospace event in New York City. James Smith, then the president of EDO, recalls that Sibrel held up a Bible and demanded that Armstrong place a hand on it and swear that he’d really gone to the moon. The conspiracy theorist was swiftly ejected. This wasn’t the only time Sibrel filmed himself accosting an Apollo veteran. He issued the same spontaneous Bible challenge to many other space travelers, including Apollo 14’s Edgar Mitchell. And as Michael Collins told Air and Space Magazine in 2016, the conspiracy peddler once tried to corner him in a supermarket. For the record, Collins says that he finds lunar hoax theories laughable. Buzz Aldrin, on the other hand, sure wasn’t amused when Sibrel and a cameraman ran up to him outside a Beverly Hills hotel in 2002. Sibrel had lured Aldrin under the false pretenses of an interview. Once Aldrin arrived (with his stepdaughter in tow), Sibrel started poking him with a Bible and unleashed a torrent of insults. Finally, the 72-year-old had enough. With a swift left hook, Aldrin punched Sibrel in the jaw. Sibrel, who quickly fled the scene, tried to sue Aldrin for assault, but the charges were dropped. To his credit, the filmmaker has since apologized for his behavior. Apollo 11 wasn’t the first NASA flight to attract conspiracy theorists. In 1968, the Apollo 8 mission sent three men into lunar orbit, an unprecedented feat. One member of the crew was astronaut William “Bill” Anders, who remembers hearing reports that some Americans were dismissing the mission as a hoax before the astronauts had even taken off.